Goatboy here with a quick set of my current go-to lists for post FAQ 8th Edition. As the time ticks closer to baby #2, I expect myself to do very little personal work for the next few months as I get used to not sleeping. This doesn’t mean I won’t be playing any games – I have to look at my current collection of nonsense and throw together lists based on things that are already painted. Personally, if my models are not painted, I just don’t feel very into the game. It is why I don’t test that much as I build and paint a list. I paint fairly quickly so going from idea to tabletop ready is a pretty speedy process, but it does mean I don’t like to playtest nonsense first before I jump in feet first into the paints. This means I need a few go-to lists ready to go whenever I get a chance to play. We’ll start with probably the dumbest lists as it has eight models and isn’t caring about the fluff. We’ll call this – I painted two big models so I might as well play them. This is about as dumb as I can get with models I have painted. I almost was going to play this for the Dallas Tournament (probably last one I play before the great Kid 2 experiment starts) but I don’t have all my Daemon Princes back. Buddy borrowed a few and while I have one side pretty well locked – I just don’t have enough Nurgle Daemon Princes to feel satisfied. Plus – I seriously don’t need to paint another Daemon Prince for a while. I get the feeling this list might do ok versus the Custode scourge we currently are seeing (and I am participating in for Dallas Open GT – list at the end). This is one of those lists that will look amazing on a display board and probably at least give the person paying it one amazing game where saves are made, chaos is pleased, and Morty lives past turn 2. 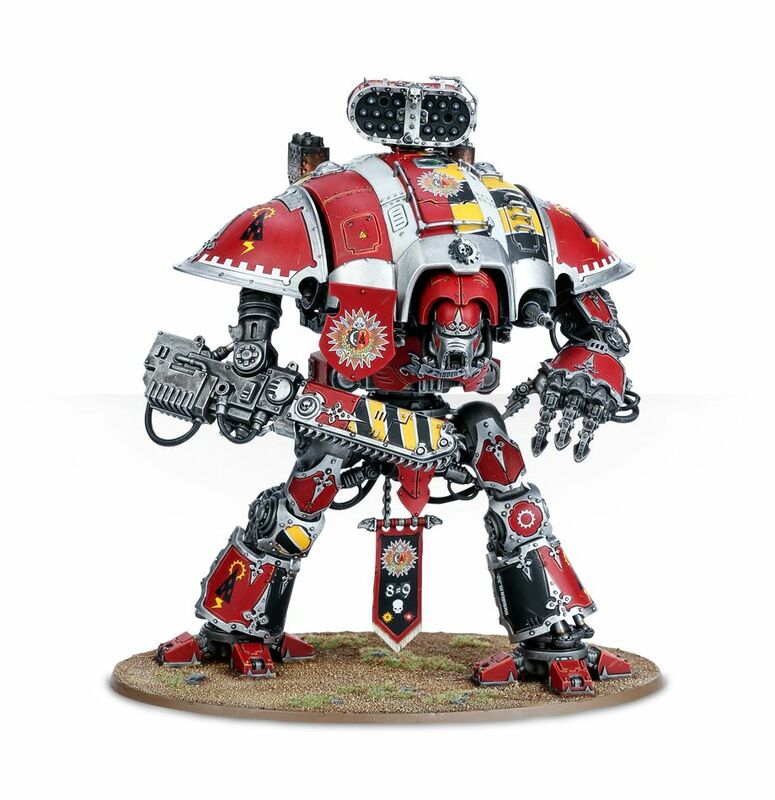 Next up we got the current Imperial Knight build I have painted up. I got lucky in that I got a ton of Knights done for myself. Plus some “bad” guy versions if I feel like playing counts as. But this army would be a fully good guy list as I just finished some parts of it for the new Dallas Open GT. I do not know if it is worth it all, but it feels like it might work. Plus it has the Goatboy stamp of approval with tons of Aggression. I am all about getting in and trying to get to turn 5. There is nothing worse than winning/losing a game on Turn 2. Rock em Sock em Robots and Friends! I would have to get some Mortar teams – but that is a single Cadian team Box for 3 of them – and thus an easy thing to paint up quickly. The idea here is that all the Knights are advancing – one is probably going to Full Tilt to get closer and assault. But since I am House Raven I can still advance and shoot as normal so I have 3 “better” mortars and 3 basic mortars. Thus I can always move and have a chance to be effective. I just like the idea of always being able to move around the field with my big players (Bikes and Knights). 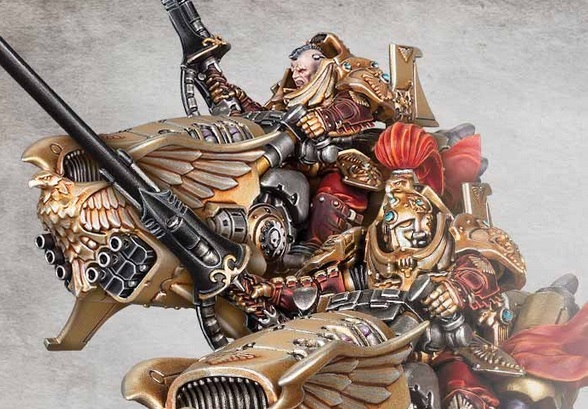 I do think you could drop the Custodes and go with a Blood Angel Battalion – but I only have the HQ choices for that painted and not the 3 units of scouts as my plan is to use real ones and not counts as options. The chances of me playing this one is pretty high as there isn’t a whole lot left to get it ready to go. The Final list I really want to play, but again I need a few things painted to get it done. This is a pure single army book and even a single detachment option. You never know when some weird event will show up demanding a single book, and it is always good to have something ready to go. Plus it feels like a decent list. A buddy played it already and enjoyed it a lot, so it is defiantly something to build at some point. It also helps I have a plethora of the one unit model left from all the Dark Imperium boxes I got splits from. 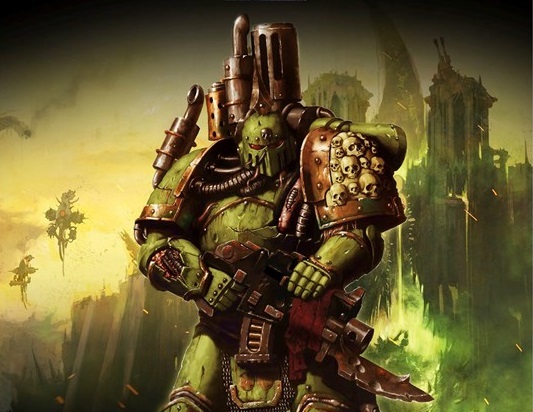 Pure Death Guard – Stinky, Smelly, and Unsettling! When was the last time you saw Plague Marines? And what is that Daemon Prince doing without wings? This is a big blob of an army that moves up and tries to bring you the dream of throwing a plethora of Grenades onto your enemy. 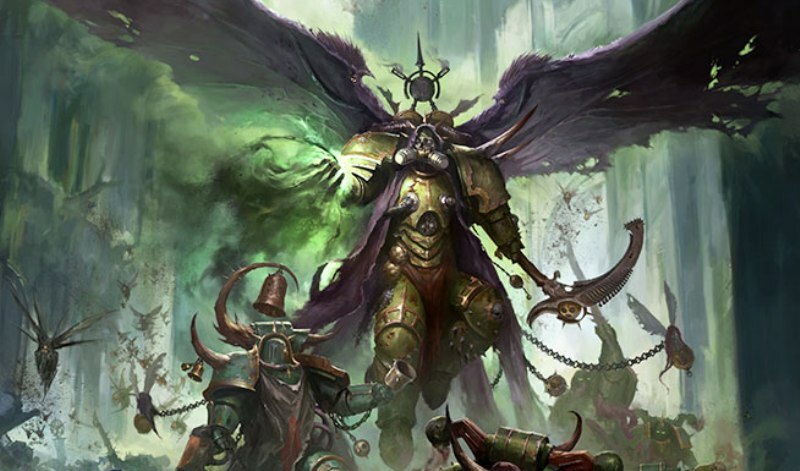 The Plague Marines can start to be pretty deadly with reroll to hits in close combat and reroll to wounds as well. They plan is to always Advance with a ton of 2+ armor saves guys due to the stinky little machines. Cloud of Flies gets pretty good when you have a few big fat Tanks in front taking care of any attention you might see come your way. The Plague Marines are the only missing thing in this list right now but that would be an easy thing to paint up. Do some double knife conversions to create a really unique looking army that you don’t see on the tabletop too much. Finally, let’s get to the list I am bringing next week to the Dallas Open GT. I just have to finish 3 Dawneagle bikers, and this thing is done. I just got them built Friday Knight while watching the Expanse (which everyone should watch if you like decent Scifi). I haven’t had a chance to play test it and just have theory hammered it after reading about some of Geoff Robinson’s games and just overall thoughts on this fast/aggressive army. I don’t think I would love to see the Bash Bros 2.0 list, but I don’t expect anyone to bring that out this coming weekend. The most exciting part of the army though for me is playing Mephiston again. This is pretty simple army – basically Custodes Bikers plus some friends to try and assault things. I didn’t want to do any Mortars due to just not wanting to paint anymore beyond the last 3 bikers. Life has been a bit busy with a testing 3 and a half year old, tired pregnant wife, and the Texas heat. But that is the current stuff you might see from me if we see each other across the table top. Ignore the bags under my eyes and just know my plan is to come and take all your armies candy. Cuz it is all about Candy for the Bloody God of the Goat! ~Which one’s would you take – and why?